The ice on the roads must be bad when your LCS closes its doors on new comic book day. This was the case yesterday, but thanks to the ever growing options to secure and read comics digitally, I was able to get my weekly fix from comiXology. There are some, however, that are looking for new ways to read digital comics and the duo of Saori Adams and Sean E. Williams launched a new service called Comicker Digital last week. It looks very promising. There are already some great titles available to read on Comicker Digital, including Nerds of a Feather recommended Artful Daggers. Definitely worth checking out. 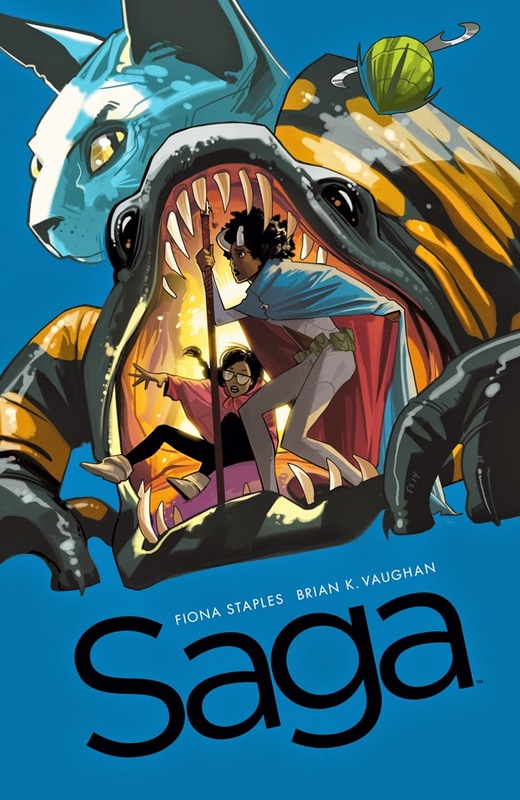 Saga #26 - In addition to another wonderfully crafted issue that didn't bring a resolution to the numerous issues that readers are stressing over, the results of the reader survey are posted in the letters section and I am once again reminded what an amazing man Brian K. Vaughan is. He takes the time to read hundreds, if not thousands of responses, tabulates the results, and shares them with his readers. In an age of social media, this type of interaction is both rare and beautiful and should be applauded. It was the perfect read after the events that unfolded in this issue. Remember how I said nothing was resolved. I should have been more specific. Things seemed to get worse for all three parties that we are currently observing. It was nice seeing Sophie and Lying Cat come through in the quest for the medicine that can only be found in boy dragons. I still think what Fiona Staples and Vaughan are doing isn't fair. The bar for comics should not be this high. 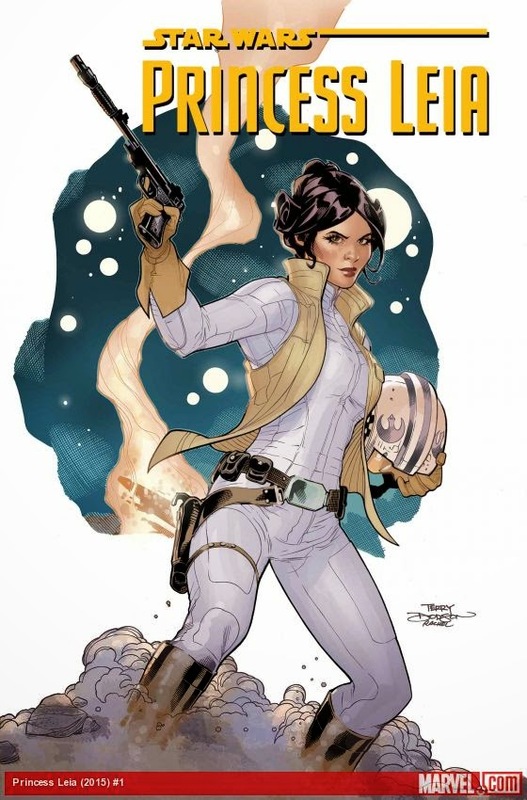 Princess Leia #1 - Thanks to Marvel landing the Star Wars license we are now blessed with a Princess Leia comic written by Mark Waid. This is a good thing and I love the direction Waid is going with this title. Leia has no time to mourn the destruction of her home planet. The Rebellion struck a huge blow by destroying the Death Star and has to maintain their momentum. With a large bounty on her head, General Dodonna does not want to let her out of his sight. Despite this, Leia finds her calling and is willing to risk her life in pursuit of a mission near and dear to her heart. Love seeing two strong female leads (you'll meet the other in the book) head a story in the Star Wars Universe. 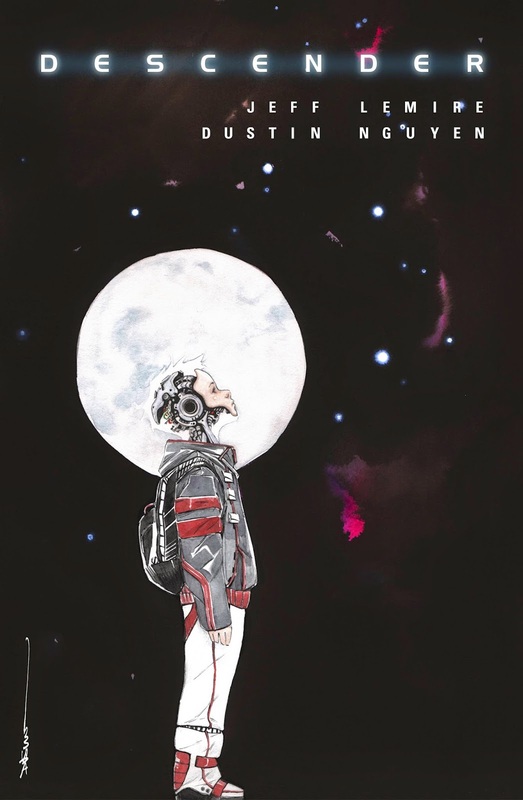 Descender #1 - While it is odd reading a Jeff Lemire title that he isn't illustrating (Dustin Nguyen does a phenomenal job illustrating this title), the prospect of a new sci-fi title from this creative team is a must read. Set 10 years after the Harvesters (giant robots) appeared out of nowhere and killed millions of humans on Niyata. It is difficult to reveal more without spoiling the premise of the book, but it appears that the story will revolve around trying to solve the mystery of who created the Harvesters and for what purpose. Life has continued on following the attack, but humanity is living in fear and Niyata is no longer the great and powerful world it once was. I get a very Battlestar Galactica feel with this one, and that is a good thing.